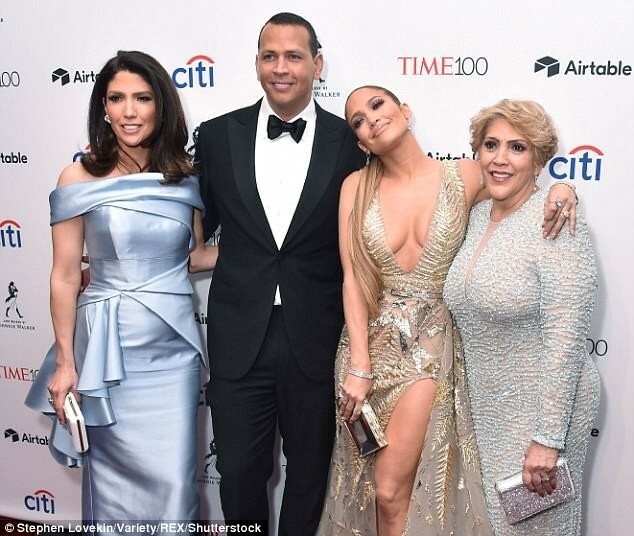 48-year-old actress and singer, Jennifer Lopez shut down the red carpet at the Time Gala in NYC on Tuesday Night. She had on a champagne-colored gown, which was adorned with metallic embroidery. The plunging gown also flaunted her cleavage and thigh while rocking high heel gold sandals, simple drop earrings, diamond bracelets and countless rings which matched her gold purse.